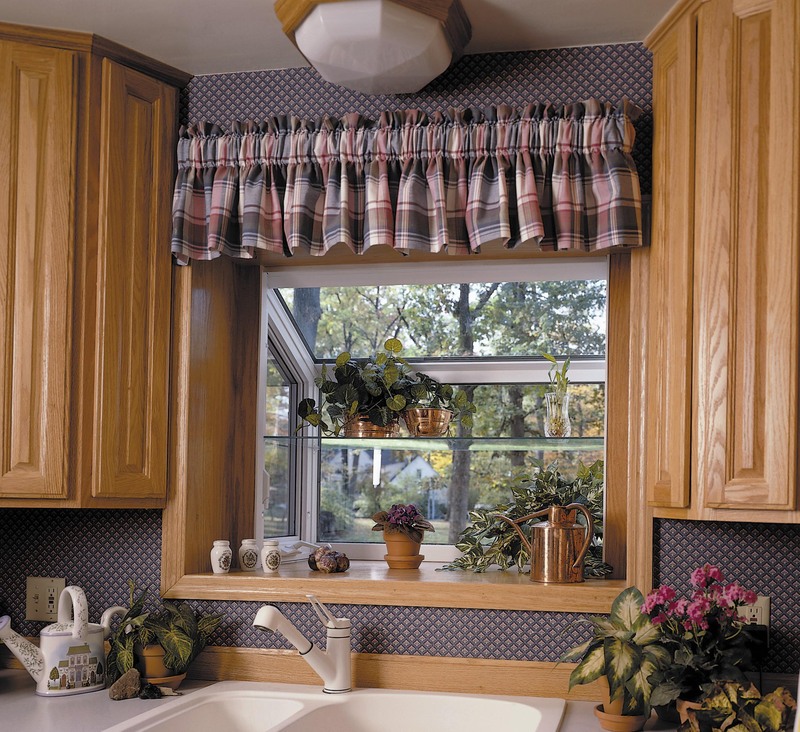 Our Garden Window System is truly a classic! Considered to be the premier garden window in the industry! The wooden portion of the frames features 1 1/8” Select A-Grade Red Oak or Birch hardwood veneer plywood construction. The unit comes complete, ready to install. The flanker, center and glass roof feature heavy-duty, aluminum reinforced frames, with fusion welded construction. The contemporary style trapezoid flanker windows provide additional light and maximum ventilation. This premium, steel-reinforced, casement style window feature stainless steel hinges in combination with Truth Maxim Multi-Point hardware. Smooth operation and easy lock-down hardware. Classic Garden Windows are available with a wide variety of 7/8” double and triple insulated glass packages, including Soft-Coat Low E and Argon Gas for increased Thermal Efficiency. 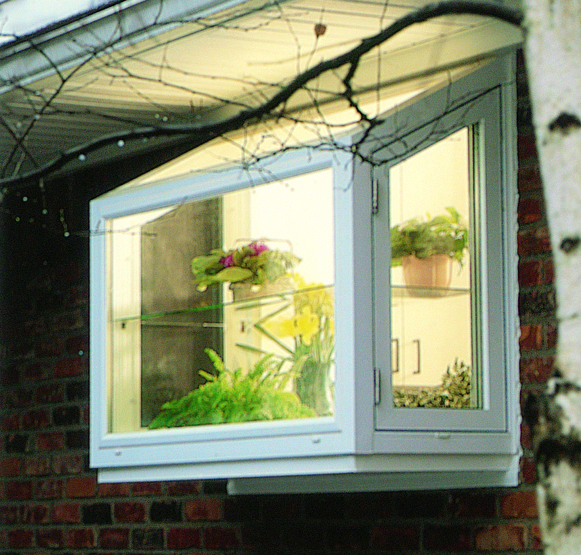 Garden Windows have an exterior projection of 18” and custom jamb depths are available at no additional cost. Windows up to 50” in width include a 3/16” tempered glass shelf; frames in excess of 50” come standard with a white, powder-coated wire shelf. Extra shelves are optional. The largest selection of options and accessories will allow your customers to design their new garden window exactly the way they’ve always wanted! Our Classic Garden Window is available with all of our bells and whistles! Factory-Finished Interiors, R 9 and R 21 Insulated Seats, Plastic Laminate Interior (Formica), Avonite Solid-Surface Seat Insert, and Decorator Glass.